Cleaning can be a tedious task. Fortunately, if you need cleaning services, then you call us. 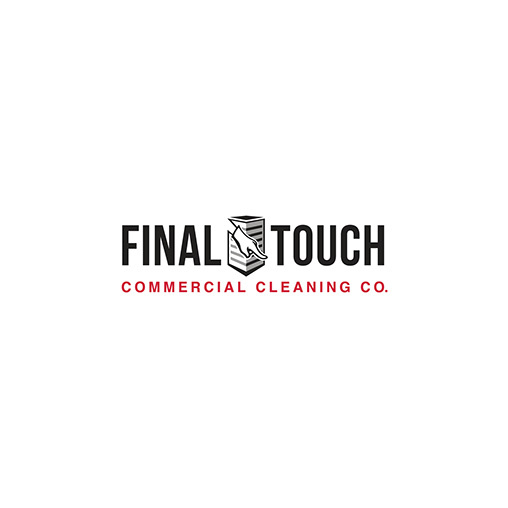 Final Touch Commercial Cleaning offers exceptional and professional commercial cleaning services, emergency cleaning, floor cleaning and carpet cleaning. Keeping a clean office is essential. A tidy office not only looks better, but it will be easier for you to find things when you need them if you have a clean office. Additionally, a clean office helps keep you and your clients healthy. It can be a challenge to keep an office clean. That is why Final Touch Commercial Cleaning is here to help. We can clean your office from top to bottom. Not only will your office look great, but it will also smell great. We strive to make sure that our office cleaning services are exactly what you would expect. We want to be the company that you call any time that you need to have your office cleaned. You may need cleaning services outside of the typical 9 to 5 hours. For example, if your office or business has suffered water damage, then this may need to be cleaned up as soon as possible. Water can easily cause mold to grow. If you have the water damage cleaned up, then you can prevent the structure from suffering permanent damage. We can also clean up debris. This is not a service that you will have to wait for. In fact, we are available 24 hours a day, 7 days a week. Our goal is to have your business back running in order to minimize disruption. If the damage has occurred in your office, then we want to make sure that you and your staff are able to resume normal activities as soon as possible. It is important to keep the carpet in your office or business clean. Clean carpet not only makes the entire area look better, but it has health benefits. Because carpet receives a lot of foot traffic, it is prone to having dirt and allergens building up inside of it. This can trigger or worsen allergies. A thorough carpet cleaning will remove the dirt and allergens. You can contact us if you need to have your carpet cleaned. Our equipment can quickly and effectively remove the dirt from your carpet. It can also remove all of the excess water from the carpet. The number of times that you need to have your carpet cleaned per year can vary. It will depend on the amount of foot traffic that the area receives. We want to be the company that you call any time that you need to have your carpet cleaned. A clean building will make the right first impression. We can keep your building looking great. We can clean all of the areas of your building. We can also strip, reseal and buff the floor. We are known for taking pride in our work. That is why we have received several positive reviews from customers who keep using our business.